We love giving Las Vegas & Henderson a good deal. Keep an eye on our specials for tune-ups & installs. Scheduling an estimate is fast and easy! Schedule now and we will call to confirm your appointment anywhere in the Vegas area, Boulder City or beyond. 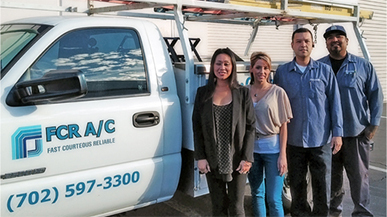 “I called FCR because my AC went out in the middle of the summer, they arrived quickly and they were very courteous. They kept me informed in every step of the repair and the bill match the estimate. There were no hidden fees. 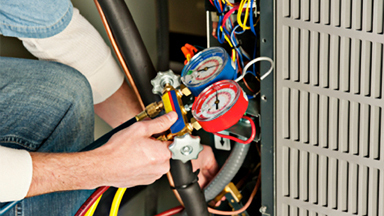 We serve the entire Las Vegas valley for AC and heating system repairs, maintenance and installation. Our Mission is to provide customers with Fast, Courteous and Reliable service. We maintain your unit like it is our own. We will be on the job in a reasonable amount of time. We treat all of our calls as our most important whether we are providing an inspection, or a new unit install. We stand by our work and warranty no matter what. We Offer a Full-Range of Services to Keep You Comfortable All Year Long. 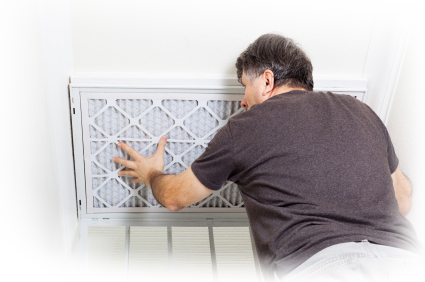 Changing your filters each and every month will save you money on your Las Vegas electric bill! Not to mention avoiding costly repairs that can be simply avoided. Washing your A/C coil with your garden hose can increase efficiency of your unit! And save expensive repair bills! Changing out your A/C and heating equipment for a new one can lower your power bills in upwards of 30%! Here are a Few Simple Tips to Save Energy and Prevent Problems for Las Vegas or anywhere.